The tour we offer you below is a light version of program "The Taste of Tien-Shan " and trip to Son-Kul lake. It begins in Bishkek, the capital city of Kyrgyzstan. Then you are transferred to Son-Kul lake, where you can see beautiful panorama of lake, nomadic life of Kyrgyz people. You enjoy horseback riding or just hiking, spend time with friendly Kyrgyz families and taste their fresh airan (yogurt) and kymys (a fermented national drink from mare’s milk), also you will view horseshow. Then you continue the trip to eastern shore of Issyk-Kul lake, to Karakol town. 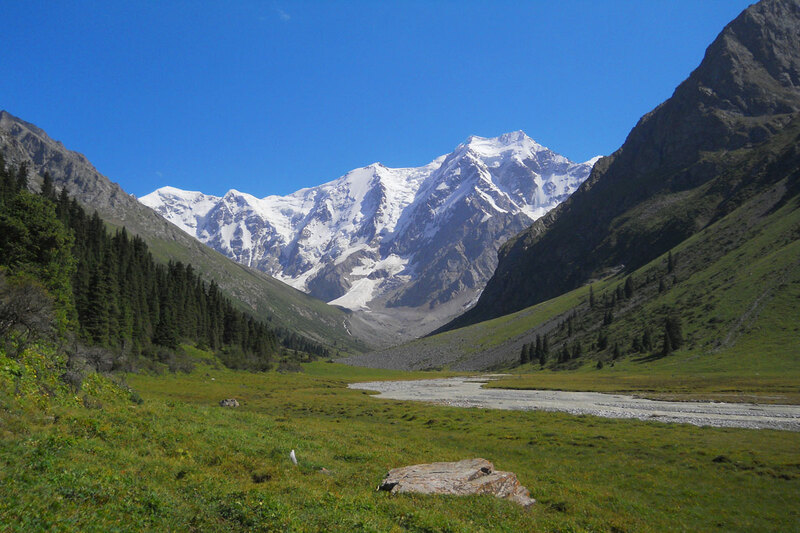 After that you are transferred to Karakol Gorge, from here the trekking part starts. A Trekking tour in Terskei Ala Too mountain range is a wonderful combination of landscapes and romantics of adventures. 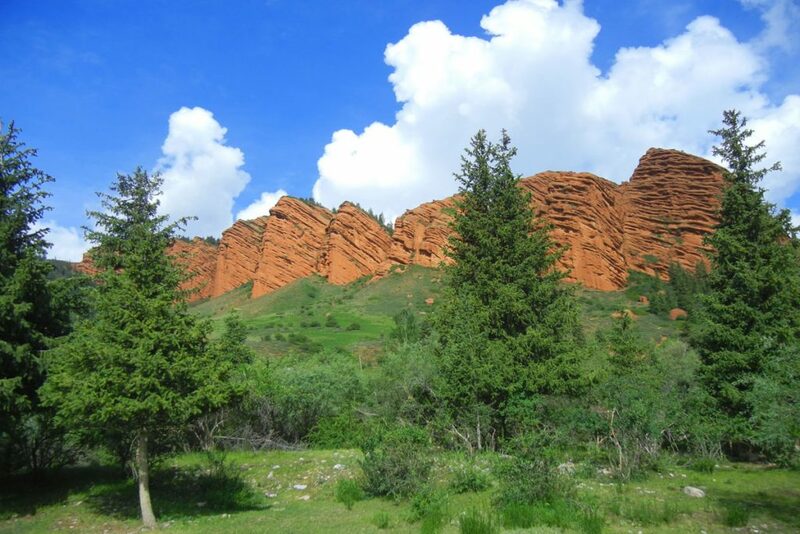 Overnights in tents under the starlit sky, campfire after a long day, amazing beauty of the hidder coners and unusual nature views… it is worth coming to our mountainous land – Land of Kyrgyzstan! 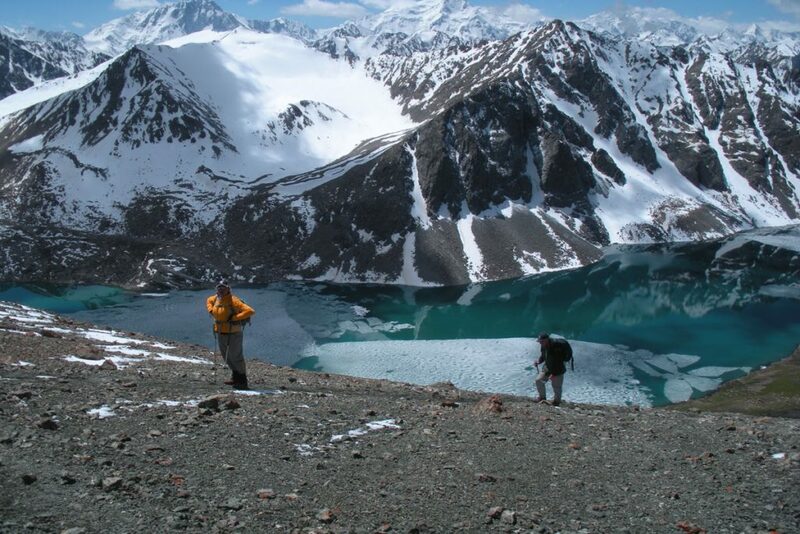 We can see a Karakol Peak (5216m) and famous moraine-glacial lake Ala Kol (3532m). We go over mountain pass Ala Kol (3800m). As a “dessert” we offer you bathing in the hot natural springs with curative mineral water in Altyn Arashan valley! Day 1 Airport – Bishkek city. Drive: 30 km. / 1 h.
Upon arrival to the international airport “Manas” you will be met by “Ak Sai Travel” guide. Short drive to Bishkek and accommodation in a hotel. Afternoon city tour. We visit Manas Monument, the main national hero of the Kyrgyz people. 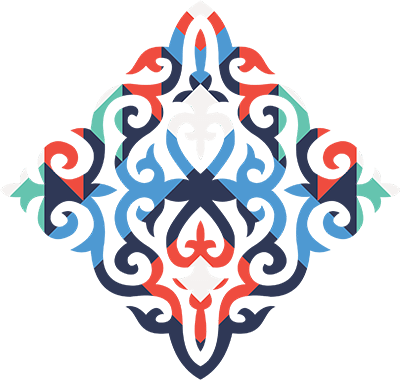 Then excursion to the State History Museum and walking tour around main Ala Too Square to watch ceremony of changing of the Guard of Honor, Kurmanzhan Datka Monument, main governmental buildings, and finish at the Old Square with Government House. Transfer to the Victory Square to finish the city tour by short excursion there. Overnight in a hotel (900 m. a.s.l.). Drive: 390 km. / 8-9 h. / + 2150 m.
After breakfast depart to Son-Kul lake, on the road make halt on Burana Tower (old minaret) near Tokmok city. The minaret was constructed in Balasagun town, one of the capitals of Karakhanid State existed in 12 centuries AD. Explore ruins of that important trading point at the Great Silk Road and visit a little local museum telling about that civilization. Also watch a collection of Balbals, Turkic ancient tombs. After excursion lunch in the family house in Tokmok, where tourist can closer learn about life of local people.In the afternoon continue your journey to Son Kul lake, the second largest mountain lake in Kyrgyzstan. Day 3 Son Kul lake. Drive: 350 km. / 7-8 h. / -1350 m.
Overnight in hotel/guest house (1700 m. a.s.l.). Drive: 25 km. / 1 h. / + 900 m.
Dinner and overnight in “Karakol” tent camp (2600 m. a.s.l.). Day 6 Radial hike to the foot of Karakol peak (5216 m.). Trek: 16 km. 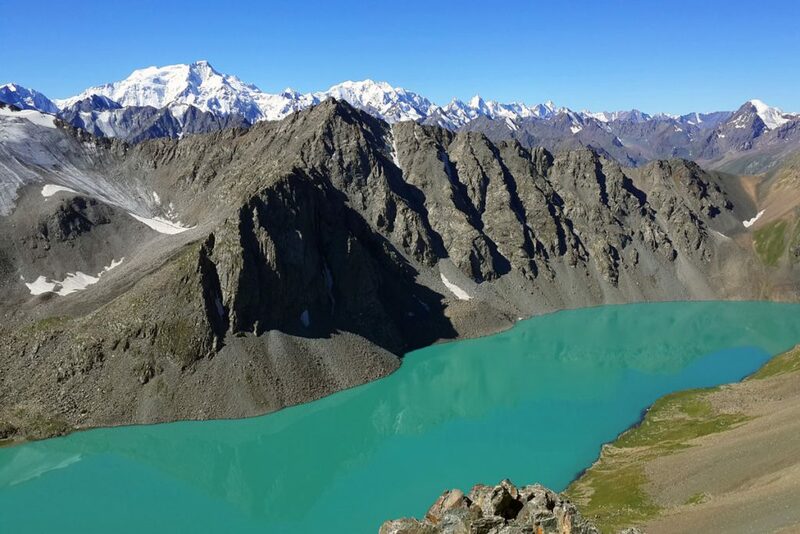 / 6-8 h. / + 700 m. / – 700 m.
Karakol peakRadial hike up along Uyun Tor river to the foot of Karakol peak. We have a chance to see Tien Shan blue spruce forest, underwood (dog rose, honeysuckle, black barberries, mountain ash, black current, etc. There are mushrooms in the forest. Starting from May there are flowers blooming on the meadows – snowdrops, tulips, primerose, white anemone, alpine Aster, edelweiss (really big ones), etc. 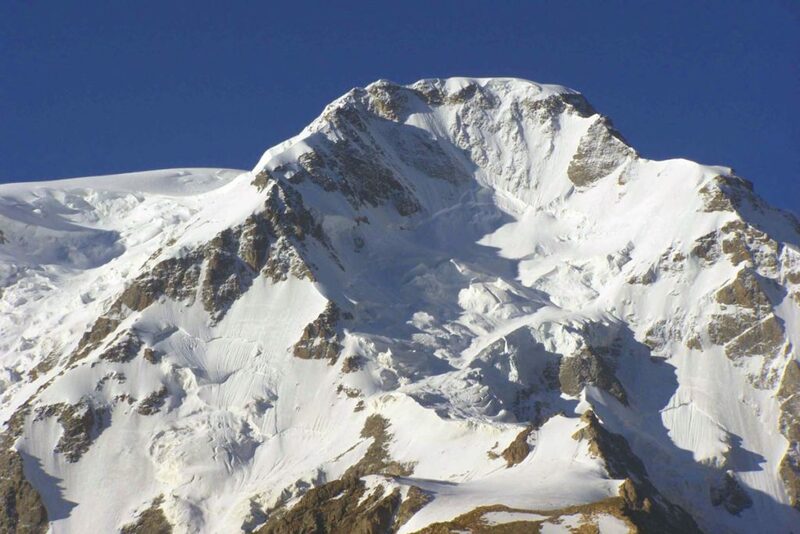 We reach the point with a view at the highest peak of Terskei Ala Too – Karakol peak. Day 7 Trek along the gorge to “Sirota” hut and to Ala Kol Lake (3532 m.). Trek: 9 km. / 6-8 h. / + 1100 m.
Descent along the gorge about 1 km, later we cross the river over a bridge and the trail leads us into a forest. Rather long ascent finishes at a steep slope covered with grass, the trail turns into a serpentine, passes by a river overflow, and arrive to an unusual place which is called “Sirota” mountain hut. It is a log hut. There is a table, benches, fireplace inside. We can find a number of sculptures of animals and idols carved in wood around the hut. It looks like a fairy tale place. It is a nice place to sit down, rest, have a snack. Later the trail goes up higher, leaving the forest behind we hike along the river and reach a beautiful waterfall, flowing down from Ala Kol Lake. Dinner and overnight in “Ala Kol” tent camp (3600 m. a.s.l.). Day 8 Trek over Ala Kol pass (3800 m.) passing Ala Kol Lake and descend to Arashan gorge. Trek: 18 km. / 6-8 hrs. / + 200 m. / – 1300 m.
Moraine Lake of Ala Kol stretches from east to west for 2.8km, its width is 500m, and depth 70m. Ala Kol means Colorful Lake in Kyrgyz language. Depending on the light the water might change its color. It can be emerald green, turquoise with white clouds reflected, light green or dark grey, or even black. During the ascent we enjoy wonderful views of the lake. Arriving closer to the lake we see the main range of Terskei Ala Too with a number of peaks – Aksu, Djigit, Karakol, Oguz Bashi, etc. From the lake edge it will take us another hour and half to the pass. Descent from the pass along a talus slope, and later across a wide valley of Keldike with picturesque landscapes, herds of cattle and flocks of sheep grazing. Later the trail brings us into a forest again and descends into Arashan valley. Upon arrival to the tent camp you may use an opportunity to relax in the hot springs. There are thermal baths (up to +50C) in the valley. 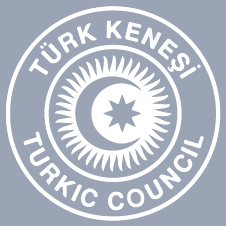 Possibility to take thermal baths. Dinner and overnight in “Altyn Arashan” tent camp (2500 m. a.s.l.). Day 9 Altyn Arashan gorge – Cholpon Ata town. Drive: 155 km. / 4-5 hrs. / – 800 m.
There is a resort Altyn Arashan founded 1963, famous for its hot mineral springs. The resort represents several wooden huts located on a big treeless meadow on the right bank of Arashan river. The Northern slopes of the left river bank are covered with fir trees. 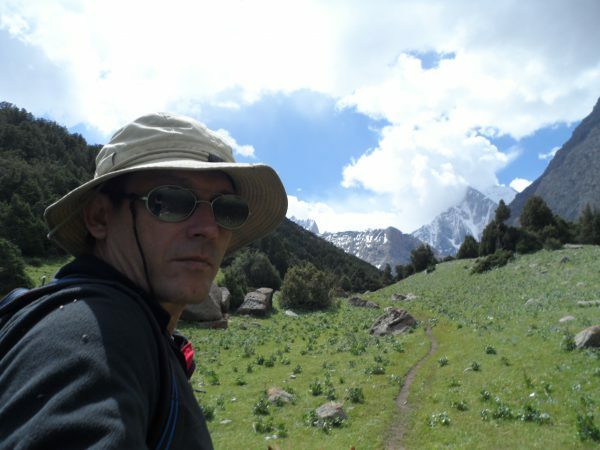 It gives an unforgettable picture – dark green trees with snowcapped mountains “Aksu wall” (5022m) in the background. Transfer to Cholpon Ata town. 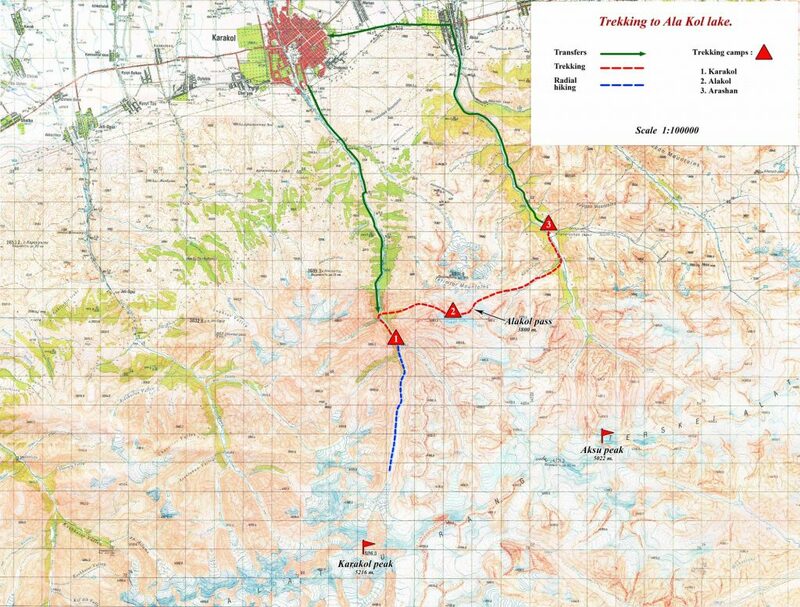 Possibly to descent over green fields with blooming flowers and crystal mountain springs. The final 5 km of the gorge are very narrow not more than 30 m with high rock walls. At the entrance to the gorge we pass by a village – Ak Suu (the name comes from the hot springs). Here you will take place inside the car. Accommodation in a hotel on the north shore of Issyk Kul Lake. Dinner and overnight in a hotel (1700 m. a.s.l.). Day 10 Cholpon Ata town – Bishkek city. Drive: 250 km. / 3-4 hrs. / -800 m.
Folklore showMorning, after breakfast, transfer to Bishkek city. Lunch en route. Upon arrival to the city accommodation in a hotel. Dinner in a local restaurant. Day 11 Bishkek city – Airport “Manas”. 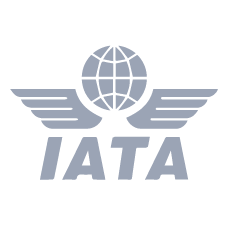 Morning transfer to airport to catch your flight back home.